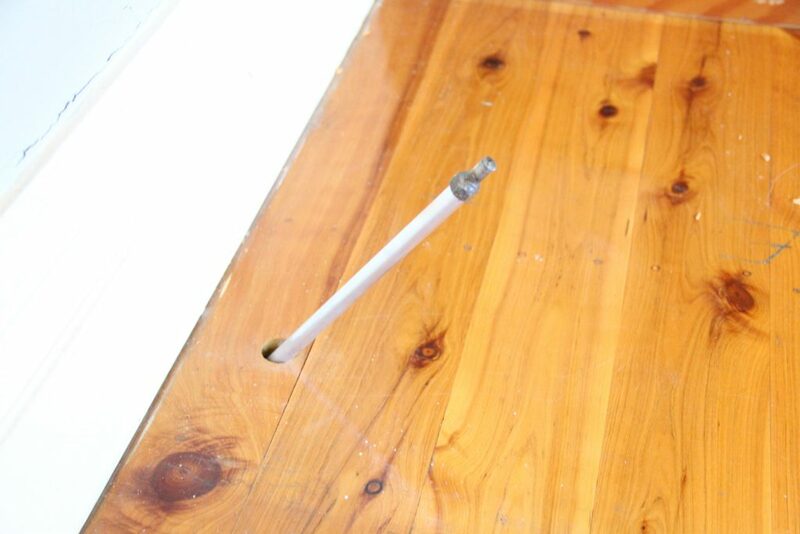 Sinking and cracked floors, cracked walls, or doors and windows that won’t close properly can all be signs of ground instability or subsidence under a structure. 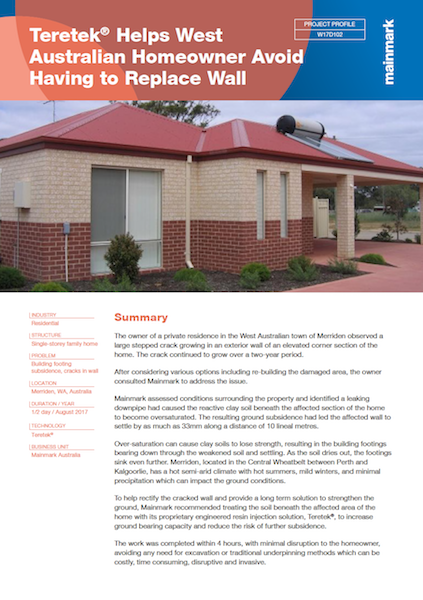 If a building experiences differential settlement and becomes unlevel, it can result in significant and expensive damage, particularly if left unaddressed. Teretek engineered resin injection solution can help solve these problems before they escalate. Australia and New Zealand face unique ground and environmental problems, from the expansion and contraction of clay soils due to drought, through to soil liquefaction resulting from earthquakes. Additionally, many coastal buildings sit on sandy, shifting soils. All of these contributing factors has the potential to result in ground instability and weakness that leads to sunken foundations. This ground subsidence propels the need to re-level buildings and concrete slabs, and to enhance the ground bearing capacity underneath structures. 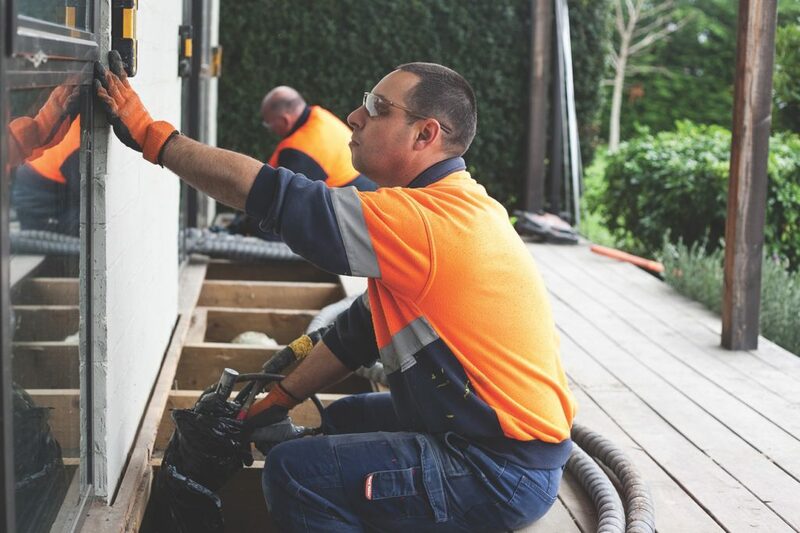 Wall cracks and other signs of instability are often ignored in fear that the foundation repair solution will be prohibitively expensive and extremely disruptive. That doesn’t have to be the case. The sooner you take action, the easier and more cost effective these problems are to fix, in turn avoiding further damage. 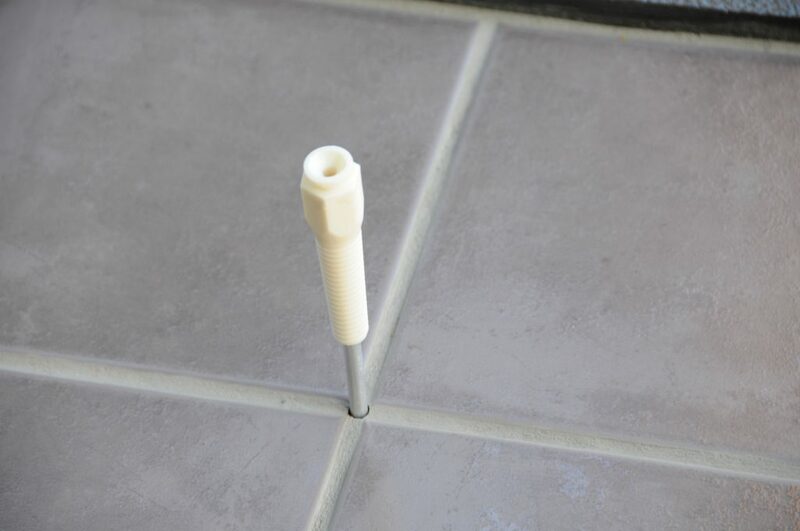 For more than 20 years, Mainmark’s key personel have led the world offering some of the most advanced resin injection and grout technologies, such as Uretek. 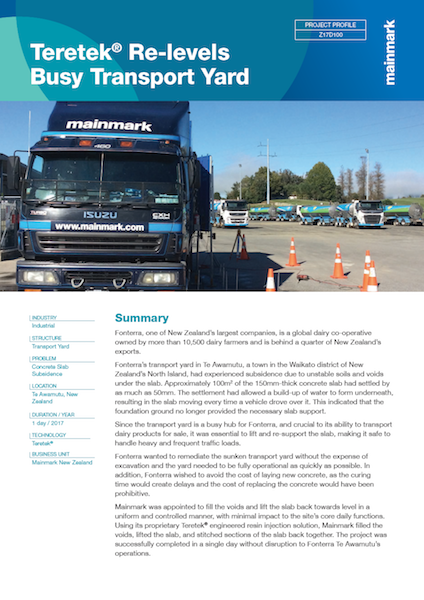 Building on this experience of correcting foundation ground issues and our knowledge of the unique local conditions, Mainmark is proud to launch Teretek, a proprietary solution that utilises an injection delivery method developed by Mainmark to raise, re-level, and re-support buildings and other above-ground structures. 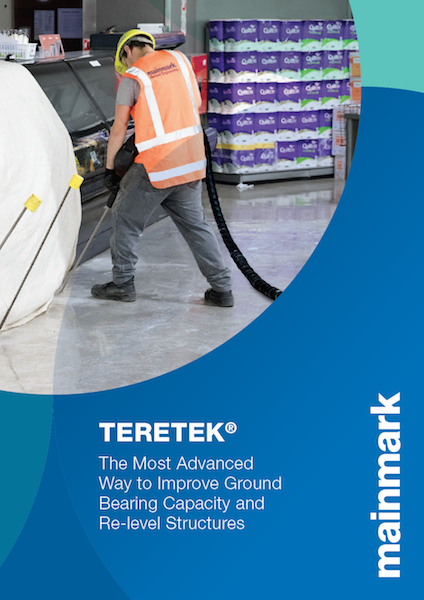 Teretek is a unique two-in-one solution that delivers both ground improvement and re-levelling and comes backed up by a 50 year product warranty. 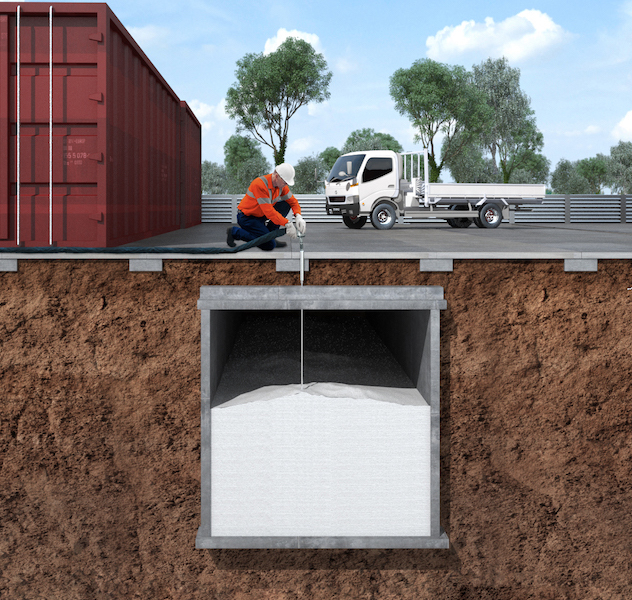 It increases ground bearing capacity, fills voids, and can mitigate soil liquefaction, all at a fraction of the cost of traditional underpinning and ground engineering methods, and with no detrimental effects on the environment. Mainmark technicians select a number of injection points under the structure in a process similar to keyhole surgery. The Teretek expanding polyurethane resin mix is then injected through very small tubes into the ground beneath the footings. On entering the ground, the components mix together and expand by chemical reaction, which strengthens the ground and re-levels buildings quickly and with minimal disruption. 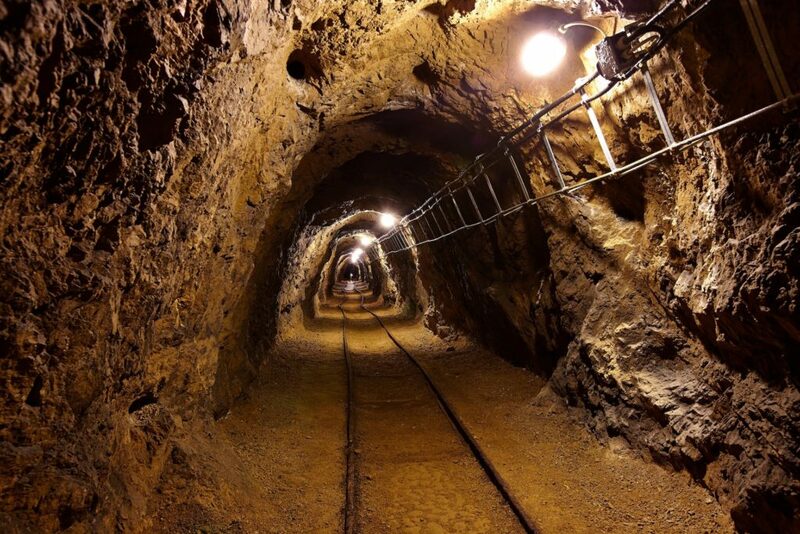 Our polyurethane injection underpinning solution is tightly-controlled with constant monitoring by laser level. 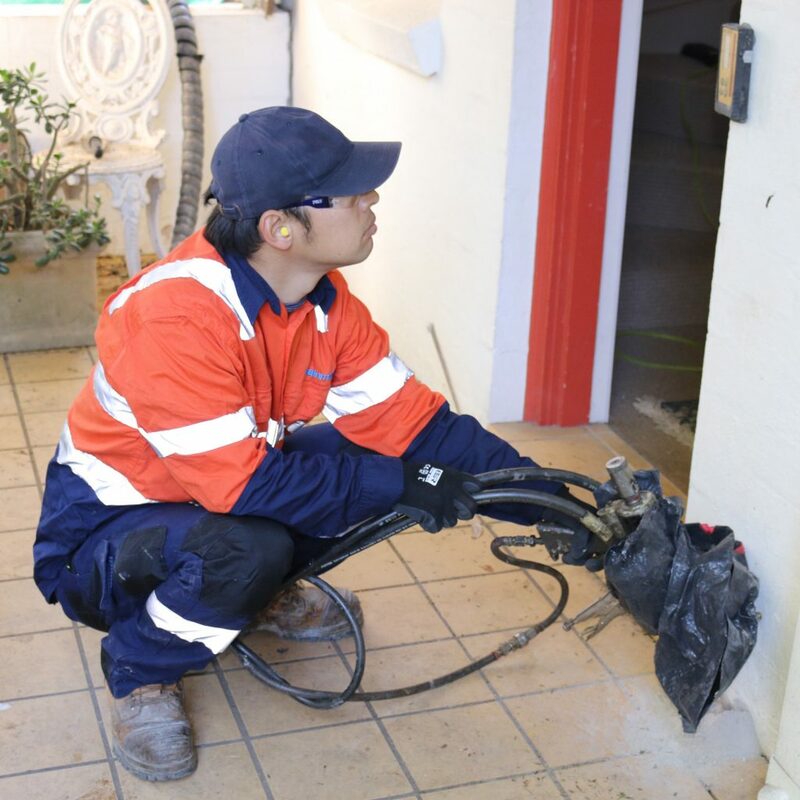 Wherever possible, the injection is done from outside the building or house through 16 mm diameter tubes. When injection has to be carried out inside, it is done through very small 6mm diameter tubes which are placed as inconspicuously as possible. 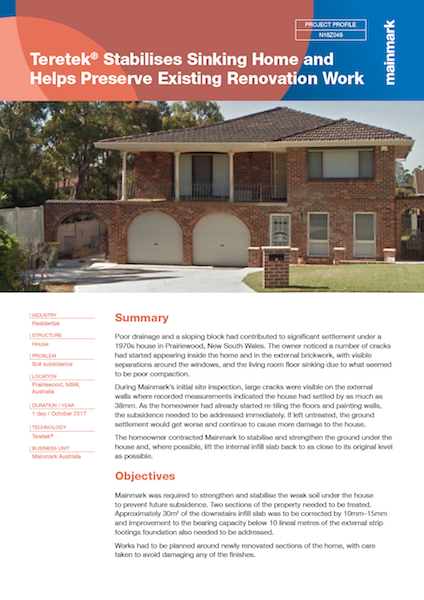 This results in minimal intrusion into the property and minimal interruption to the occupants, effectively underpinning by non-invasive expanding resin injection. In most cases, building occupants are not required to move out or move any furniture during the ‘home lift’ process. 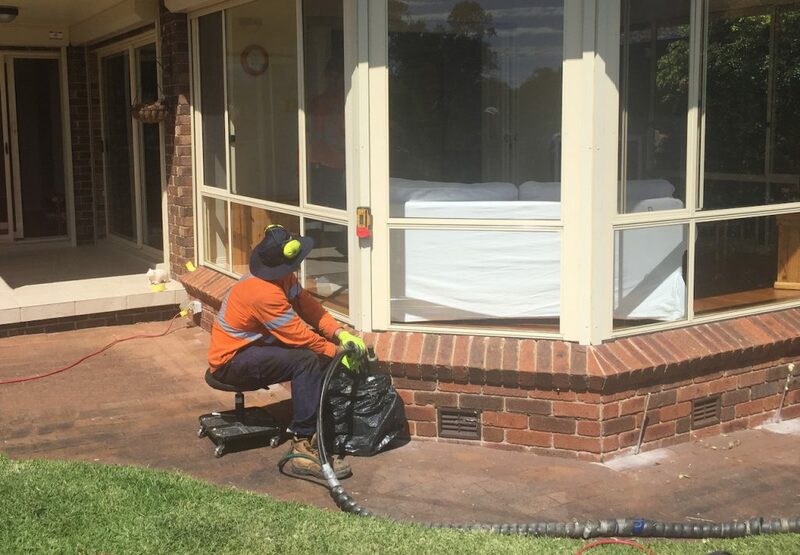 The process is extremely quick: most house re-levelling and slab lifting takes less than a day, and concrete driveways and slabs can often be driven on within hours. 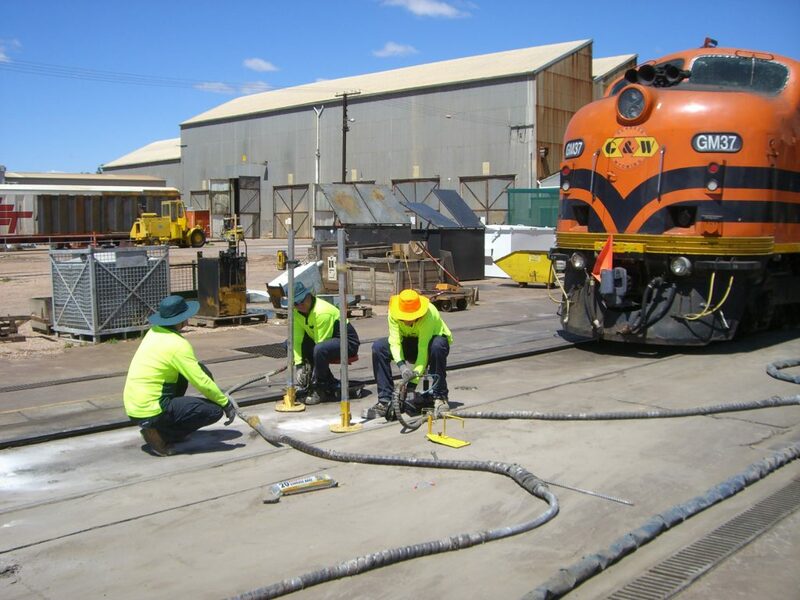 Teretek is ideal for many commercial, industrial, civil and mining applications, as well as residential. 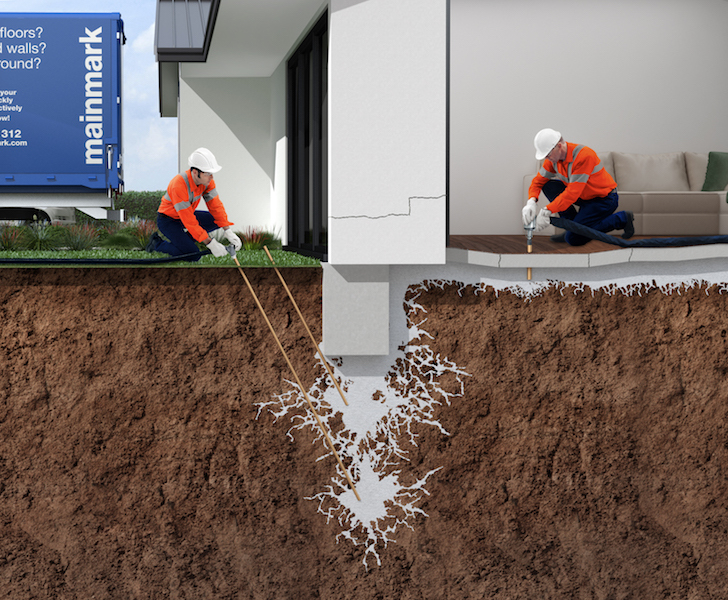 For more than 20 years, Mainmark has developed and perfected its unique and proprietary process for ground improvement and structural re-levelling. 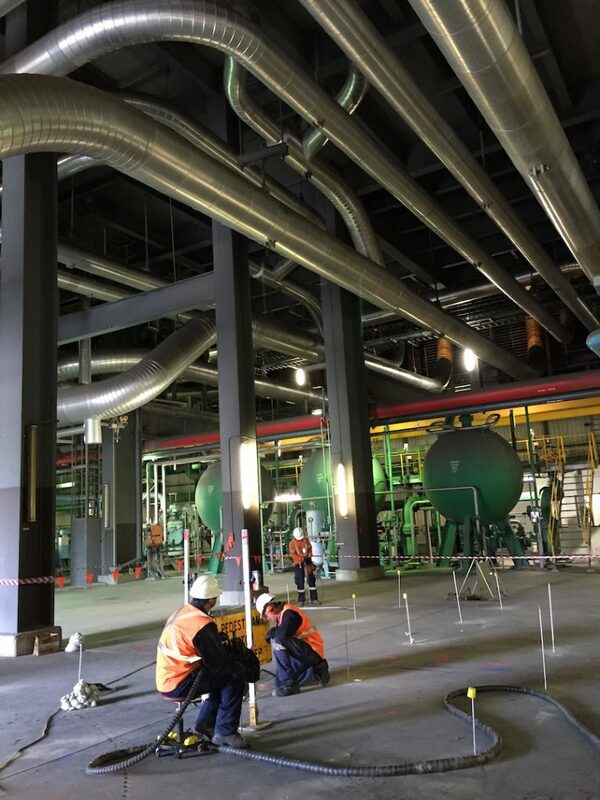 Utilising this flagship method, we inject one or more of our Teretek engineered structural resins beneath the sunken sections of the affected construction or structure, filling any voids encountered to maximise ground support. Then, from deeper underground we lift the structure or construction, as conditions allow, using the controlled force generated by expanding resin. We inject our Teretek engineered structural resins beneath (or into) the construction of concern, filling any voids encountered to re-establish ground support. Teretek void-fill method may also be used for arresting water movement, filling abandoned utilities and other man-made voids.